Thiruvananthapuram, the Capital of Kerala, is also the largest of all its cities. Those who are hearing the name for the first time may wonder how on earth they are going to nail that one down. Fortunately, there is a shorter anglicised version, Trivandrum, pretty much in common use. Are you about to take up the challenge of getting to the core of this tongue twister? Well then, it is a combination of thiru-anantha-puram, meaning the place of Anantha. Have you seen the picture of Lord Vishnu lying on a huge serpent, quite comfortably as if on a bed? That multi headed mythical snake is Anantha, while Anantha Padmanabha Swamy is Lord Vishnu himself. So this is the city of Lord Vishnu. The name Thiruvananthapuram is no longer limited to the capital city. The whole of the district is called the same. Southernmost of all Kerala districts, Thiruvananthapuram is the region enveloped by Kollam, Tami Nadu and the Arabian Sea. Built on seven hills, the city takes the brunt of one million people while struggling to keep up an old world charm amidst a sea of modernity. As the seat of the state parliament, the secretariat in the middle of the city is a bee hive of political activity. For politicians of Kerala, all roads lead to Trivandrum. Mahatma Gandhi called it the evergreen city of India. The subsequent six decades have seen many those greens disappear though. Something that time could not erode is the respect local people have towards erstwhile rulers, the Travancore Royal Family. Incorporating fairness and integrity, those monarchs strived to live up to their ideal as Padmanabha Dasas (servants of Lord Vishnu). 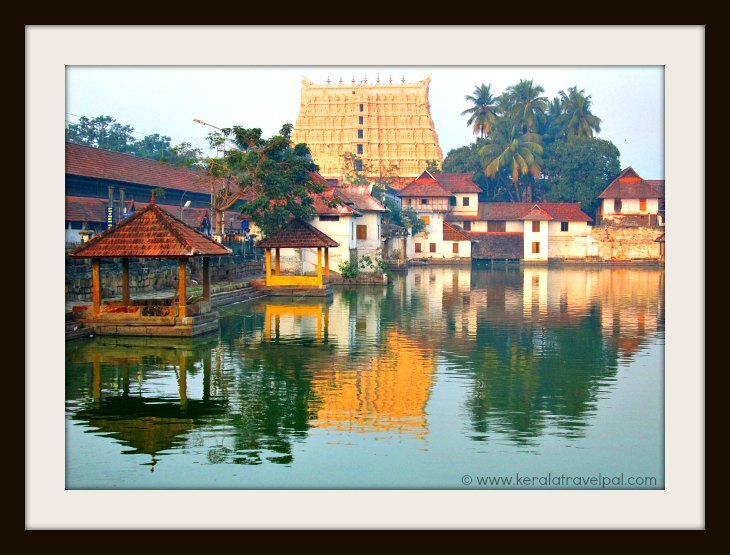 Lasting impressions that connect city life to the royal rule such as Sree Padmanabhaswamy Temple and Kavadiyar Palace are very well mirrored in arts and social reforms. Thiruvanathapuram became the city of rocket science ever since Thumba Equatorial Rocket Launching Station started functioning here in early 1960’s. Local shores became a destination of space researchers as Vikram Sarabhai Space Centre and outfits of Indian Space Research Organization begin to operate here. The tradition of scientific research has spread into IT, with the establishment of Techno Park, the first of its kind in India. With a skilled workforce of about 35,000, the largest IT Park in India makes a statement of its own. Trivandrum is one of the major gateways to Kerala. An international Airport, a railway hub and busy bus stations means there is steady flow of travellers, all throughout the year. Tourists have plenty to get on with, even within the city bounds. Sree Padmanabha Swamy temple, Kuthiramalika , Kanakakunnu Palace, Science and Technology Museum , Planetarium, the Zoo, Napier Museum, Oservatory tower and Sree Chitra Art Gallery are only short travel distances away. Veli, Akkulam and Shanghumugham are the places for water based fun. Although on the outskirts, they are also at convenient riding distances from the city. World class beaches, pristine backwaters, top class Ayurveda resorts and chilly hill stations – be warned that some of it can be addictive. Kovalam beach, the forerunner in fame, has a polarising effect. Almost everyone likes the pristine natural aspects of Kovalam. The modern inroads to the beach hamlet are quite tricky. Many are contend with it and many are not. Head south to Varkala to enjoy a beach that is quite special in a nice way, unspoiled yet vibrant. 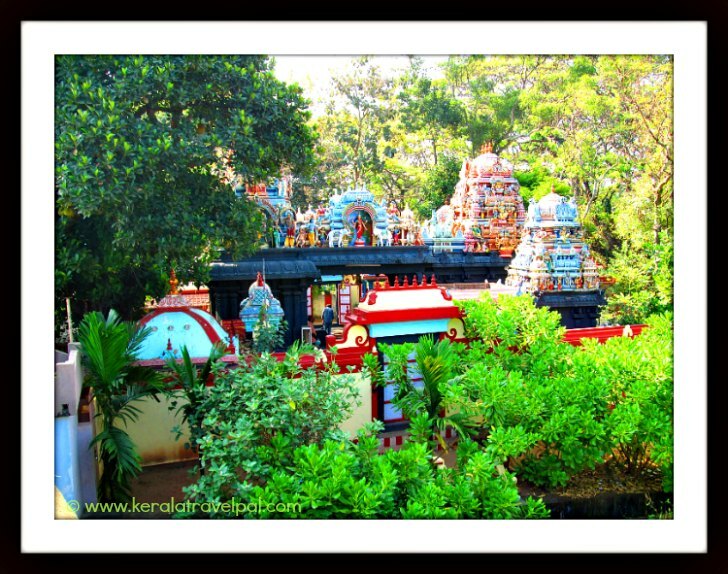 Attractions near Varkala, such as Janardhana Swamy temple and Sivagiri Mutt, may or may not entice you. 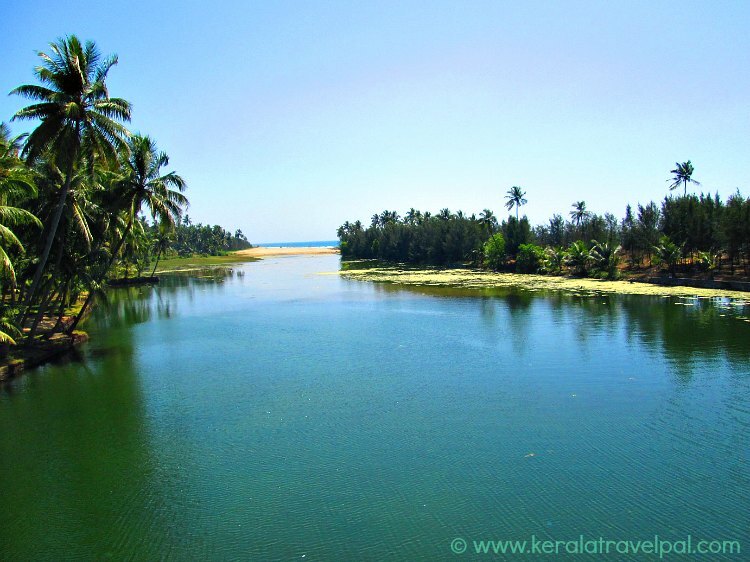 However, a not to miss place is Kappil backwater, only a few kms from Varkala beach. Kappil also has a beach, a very quiet one indeed. Secluded Poovar is a great choice if you want a few days of retreat from everything. A small beach-island of birds and hyacinths near the meeting point of backwater, river and sea! How gorgeous! Lengthy Chowara beach has many small beaches. Of them, Somatheeram beach stands out as the Ayurvedic beach. Resorts located on the beach side hillocks specialise in Ayurvedic treatments. Are you beached out? Get some cool comfort at the hill resort of Ponmudi or venture the heights of Agastyakoodam Peak. Laze-out in the backwaters of Thiruvallam or get hectic with a speed boat at Veli lagoon. If Veli is not enough, get to the nearby Akkulam Lake too. Kiss Kerala a brief good bye and take a trip to Kanyakumari, the southern tip of India, where three oceans meet. This meeting point of Bay of Bengal, the Arabian Sea and the Indian Ocean is a place of religious significance. Swamy Vivekananda, the saint and philosopher, meditated atop a large rock. Vivekananda rock , as it is known today, is a tourist attraction. Kanyakumari (aka Cape Comorin) is also a great place to view fabulous sun rises and sun sets.